Membership in TCSA is based on the charter holder data and comes with extensive benefits including free and discounted services. Dues are calculated on the total student enrollment for every charter/charter campus held by the charter holder as of the prior year’s TEA Snapshot. The base amount is $5 per K-12 student and $2.50 per Pre-K student. These dues cover the membership period from November 1 through October 31. Charters are considered members upon receipt of payment. Join or renew by logging into the Quality Member Portal. 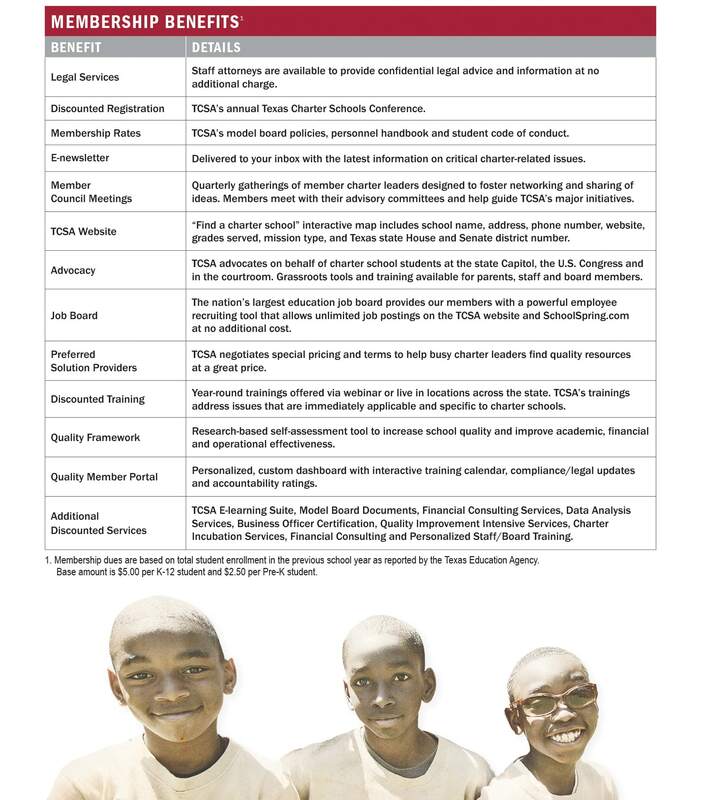 If you have questions about the Texas Charter Schools Association, please contact Nadia Luna 512.584.8272.